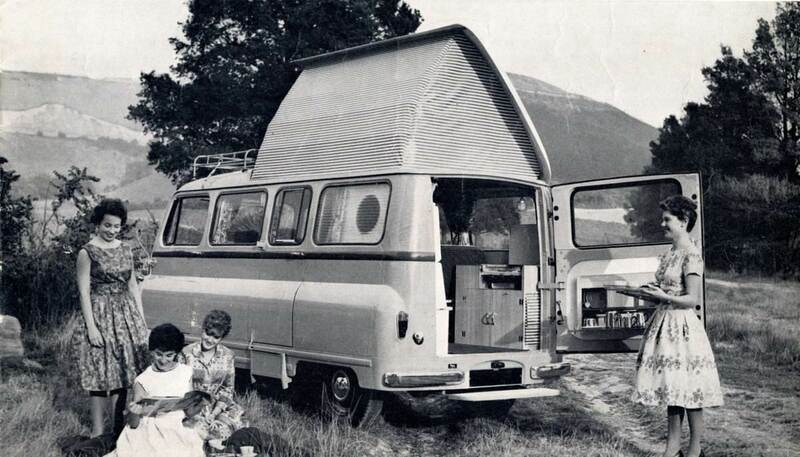 The Bedford CA Dormobile camper provided thousands of middle class British families with their own mobile holiday homes in the 1950s and ’60s. 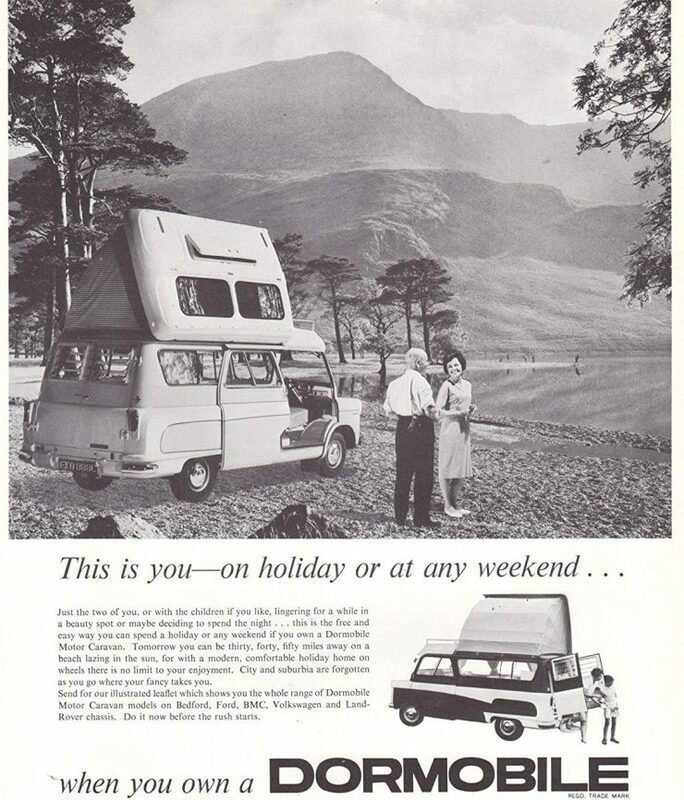 Campers and caravans would flood the British motorways during the summer holidays, much to the chagrin of regular motorists. 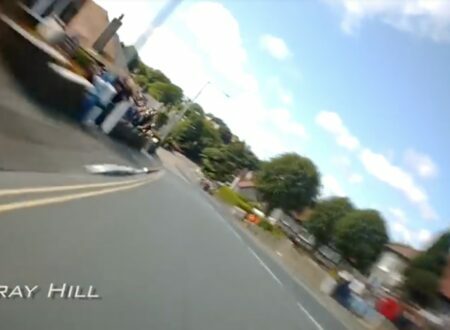 Holidaymakers would head north, east, south, and west – some to the coast and some to the countryside but all would end up in caravan parks of some description, typically just a glorified grass field with some basic amenities, and hopefully a small town pub within walking distance. Bedford and Dormobile (coachbuilder Martin-Walter) were two British companies that were ideally suited to a symbiotic relationship. 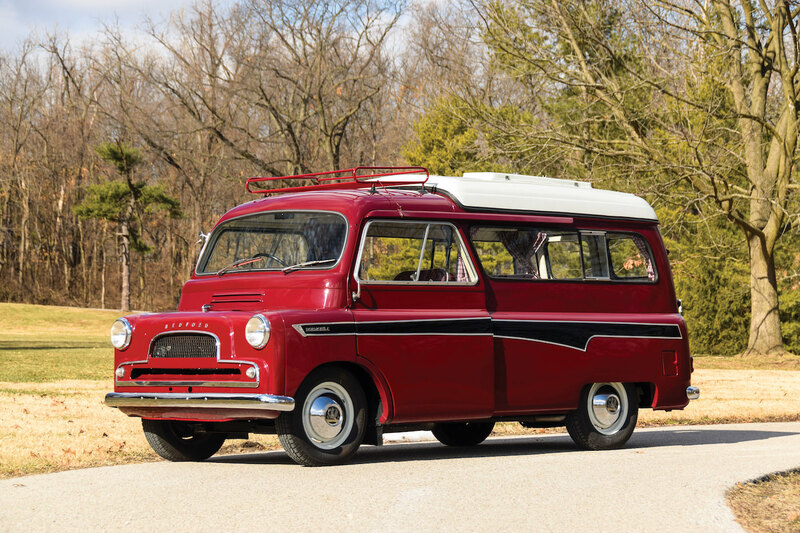 Bedford was the pre-eminent truck and commercial van builder in Britain in the mid-20th century, Bedfords were sold around the world and proved particularly popular in Australia and New Zealand. It’s no exaggeration to say that simple commercial vehicles like Bedfords were a life-blood of British industry, but Dormobile made them a life-blood of British holidaymakers too. 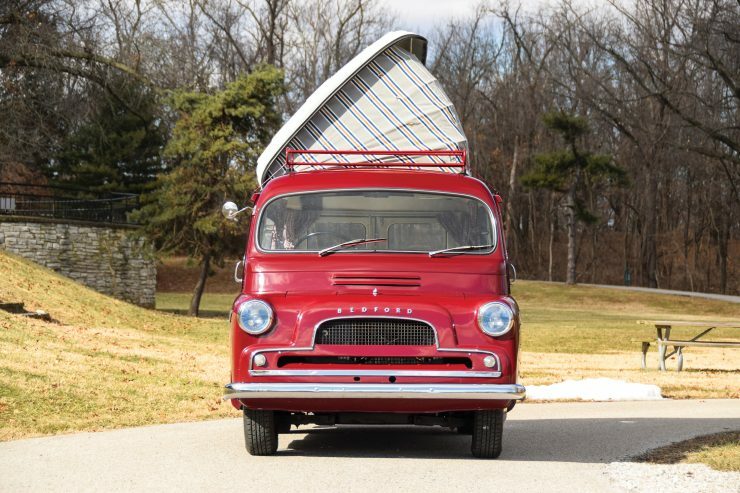 Martin-Walter, the makers of the Dormobile conversion, were initially founded back in the 1700s to make harnesses for horses, by the 1800s they were making carriages as well, and when the automobile revolution began the company switched to building cars, and vehicles for the military and industry. 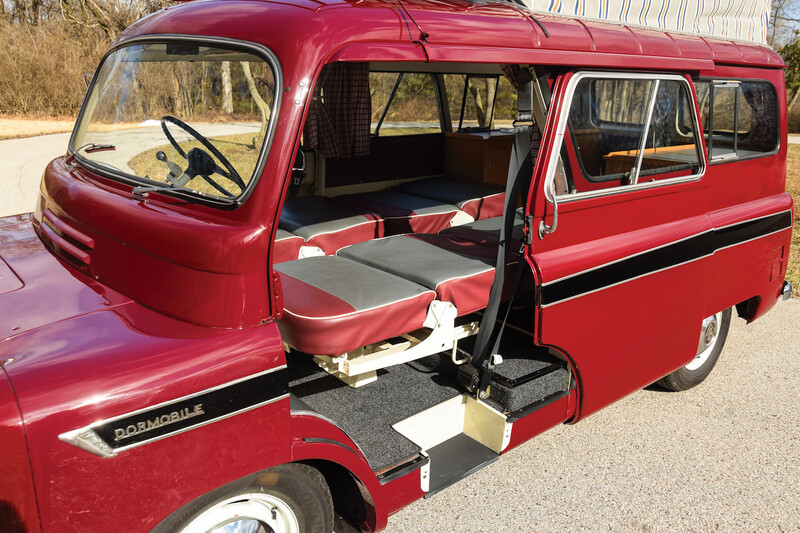 By the 1950s the company’s focus shifted to producing their popular Dormobile conversions which could turn your Bedford, Land Rover, VW Bus, Vauxhall, or Austin into a fully-equipped camper. 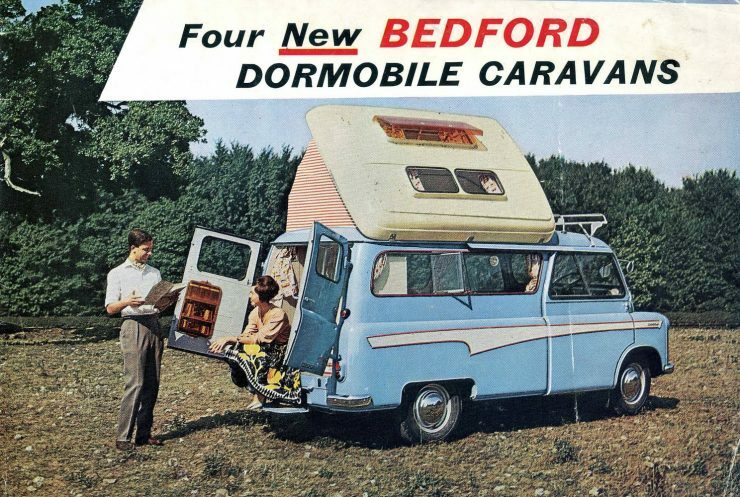 Of all the Dormobile conversions the Bedford CA Dormobile would become the most famous and the most prolific. 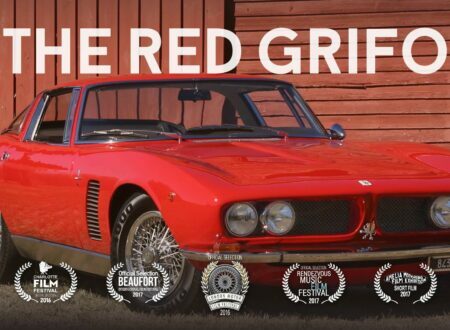 It’s not known exactly how many were made but it was enough that they became a common sight during the summer and clubs of enthusiastic owners started popping up around Britain. As with most Dormobiles the Bedford CA conversion featured a new roof that’s hinged on one side when popped up there are twin slide out bunks in the ceiling. 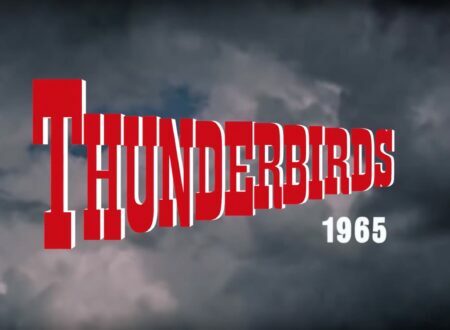 In order to offset any feelings of claustrophobia when laying in your bunk, the flip-up roof also had twin windows and and openable vent. 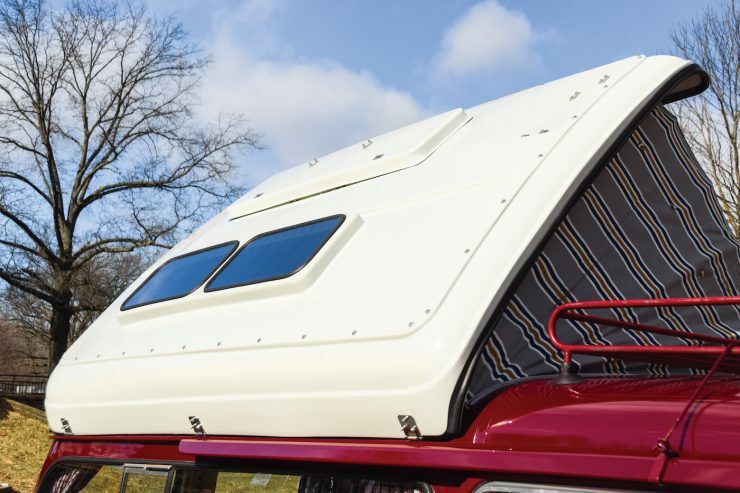 Inside the camper you could specify a number of different interior options including simpler items like a sink and a cooker, right up to more expensive options like a toilet and an ice box refrigerator. 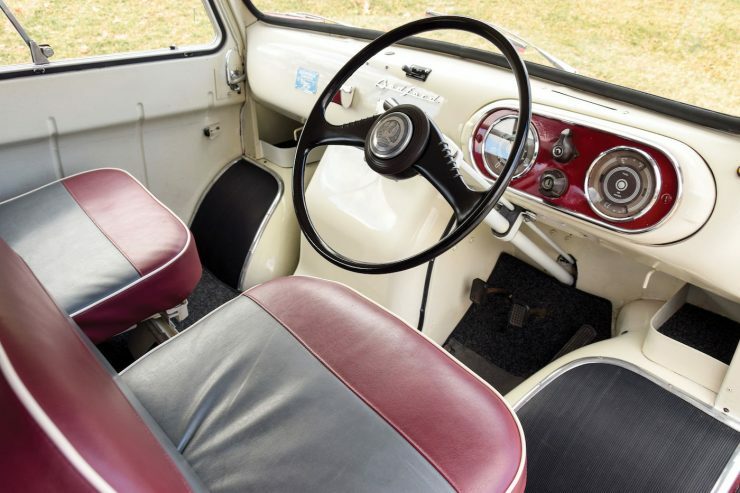 Perhaps the cleverest element of the interior was the “Dormatic” twin front seats which converted into beds, although they may not have been the most comfortable beds in the world they did the job, and they allowed the Dormobile to sleep up to four people. 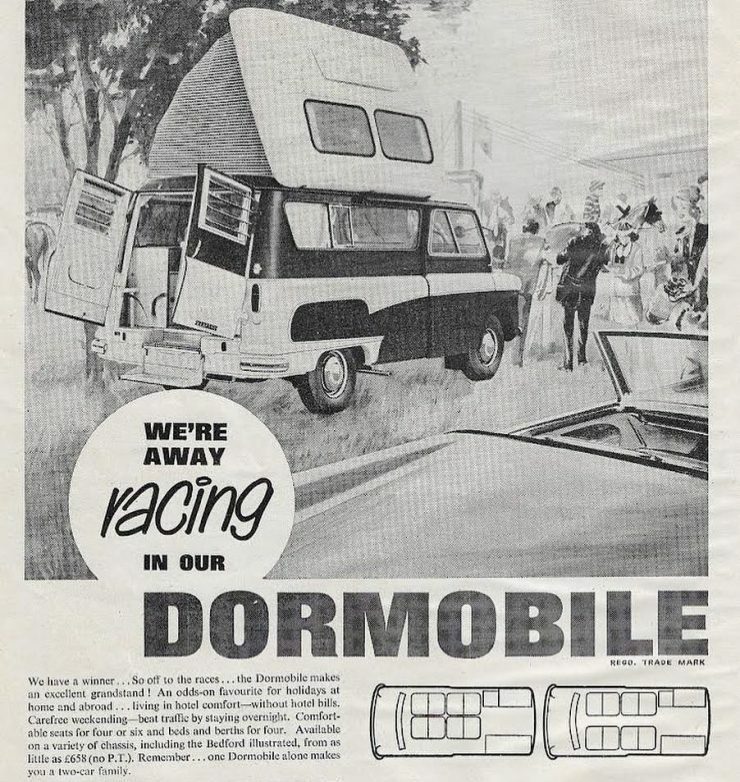 Sadly, many of the Dormobiles didn’t survive the ’70s and ’80s, the company itself went bankrupt in the ’80s and for a while it seemed like it was the end for the unusual British campers. 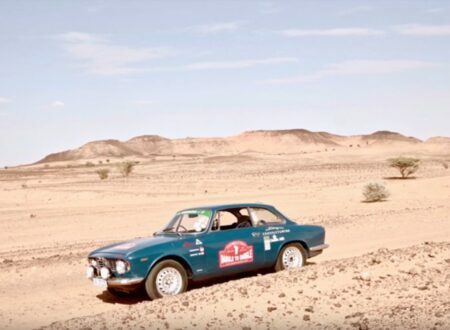 Thankfully the company was revived in the 1990s and they’re still in business today making camper conversions for Land Rover Defenders and Volkswagen vans. 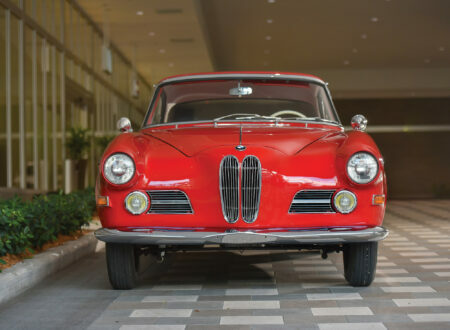 Original Dormobiles from the ’50s and ’60s are now hugely collectible, and they can be frequently seen at vintage motoring events around Europe like the Goodwood Revival. 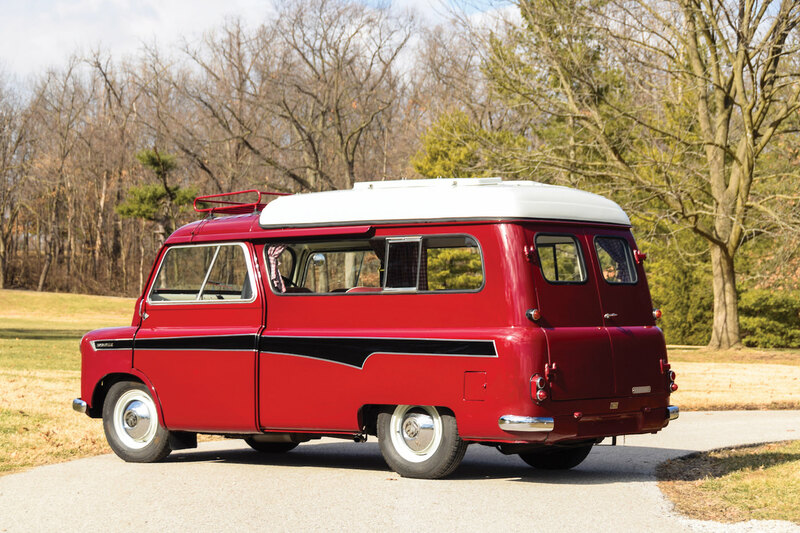 The 1961 Bedford CA Dormobile camper you see here was sold new in New Zealand, over the course of its life it was restored before being sold to a new owner in the United States where it currently resides. 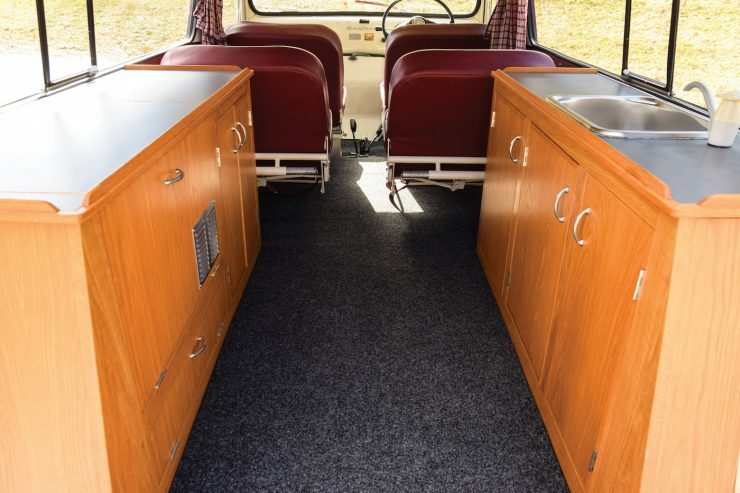 Inside this camper has a more modern interior with cabinetry, a sink, a Waeco portable refrigerator, and portable gas camp stove. 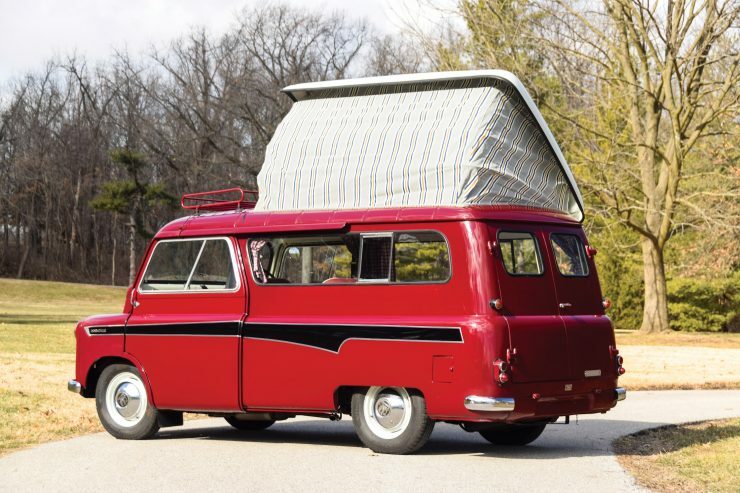 There’s a 40 litre wastewater tank, a Zempire camping latrine, twin fold out bunks in the roof, the signature Dormatic front seats, and a small roof rack at the front for additional luggage. 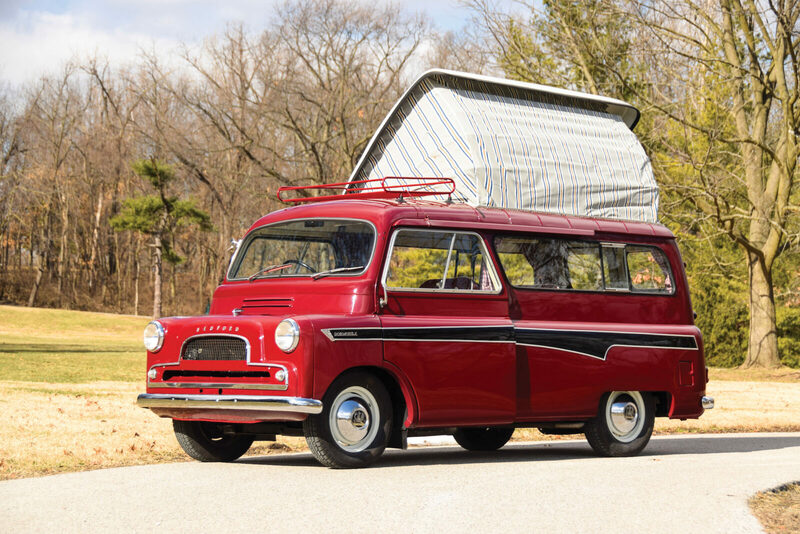 Bedford Dormobiles are an exceptionally rare sight on the road in the USA, if you’d like to read more about this one or register to bid you can click here to visit the listing on RM Sotheby’s.